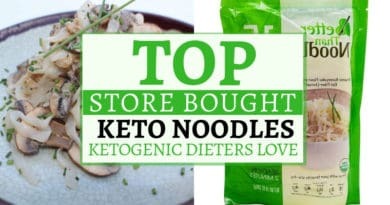 Are you on the keto diet and feeling a bit restricted? 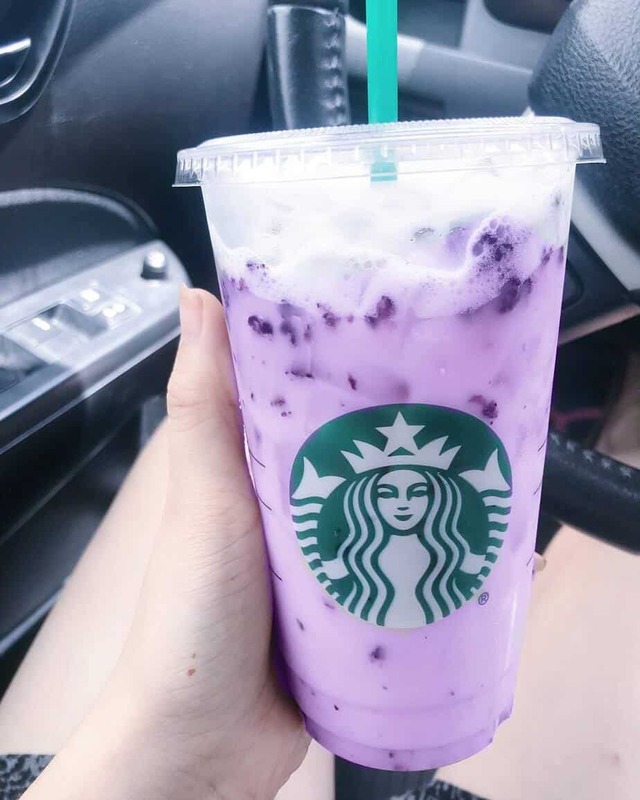 Have you ever wondered if you can enjoy starbucks drinks on the keto diet? 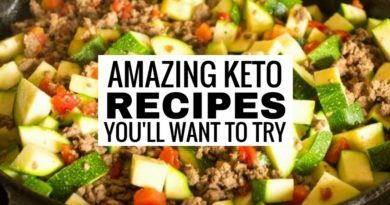 If you have, you’ll be pleasantly surprised to know that you can enjoy multiple keto starbucks drinks and remain in ketosis and lose weight. 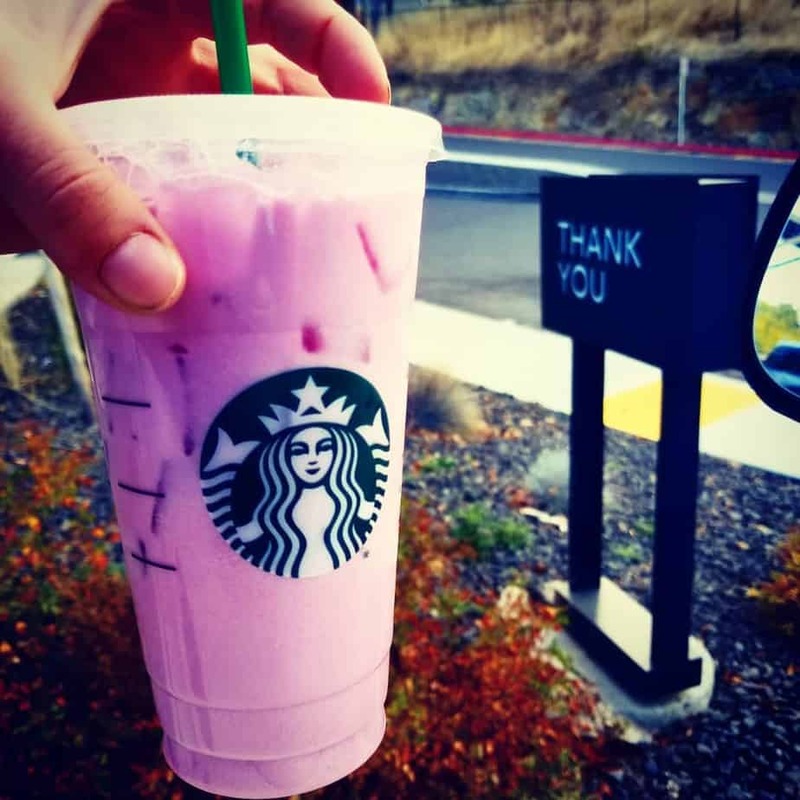 Of course, you shouldn’t make this an every day thing, however, you can enjoy a few keto starbucks drinks as treats throughout the month. 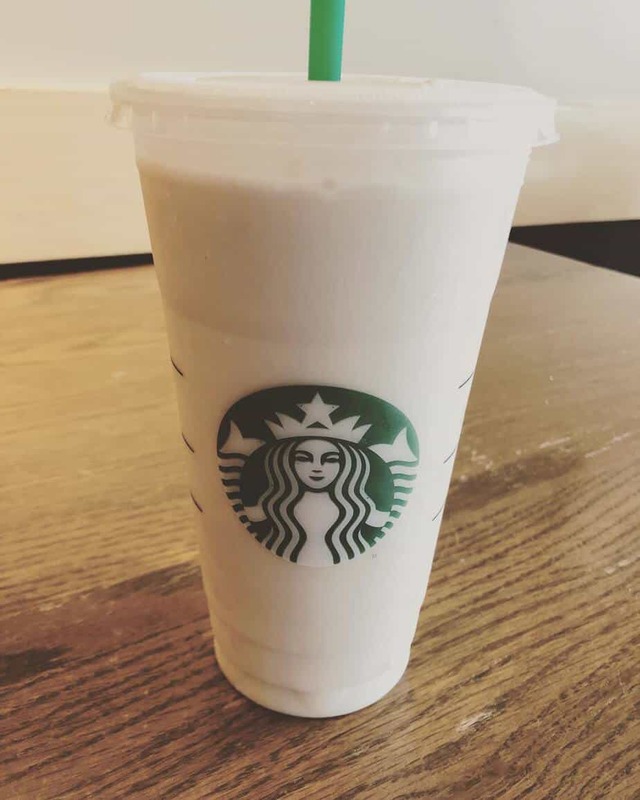 To order, ask for a vente passion tango iced tea with no sugar, 2 pumps of sugar free vanilla, heavy cream and stevia. 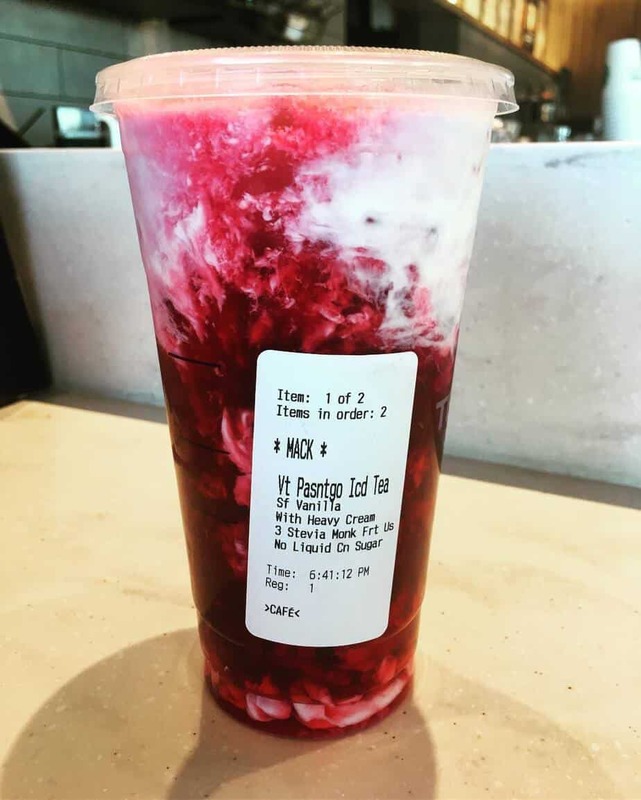 To order, ask for a venti iced passion tea with sugar free vanilla- no cane sugar syrup, half and half, no water added. 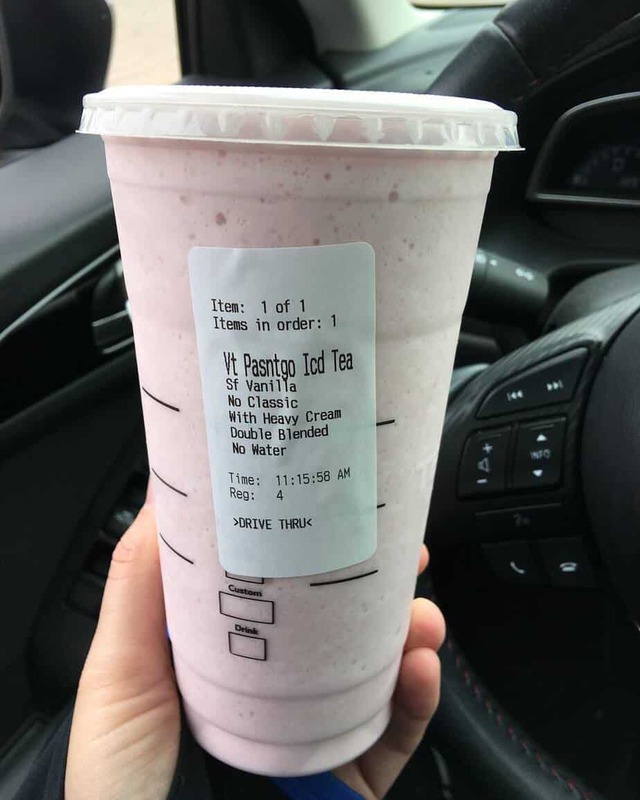 To order ask for a venti passion iced tea with sugar free vanilla, heavy cream, double blended with no water and no classic. 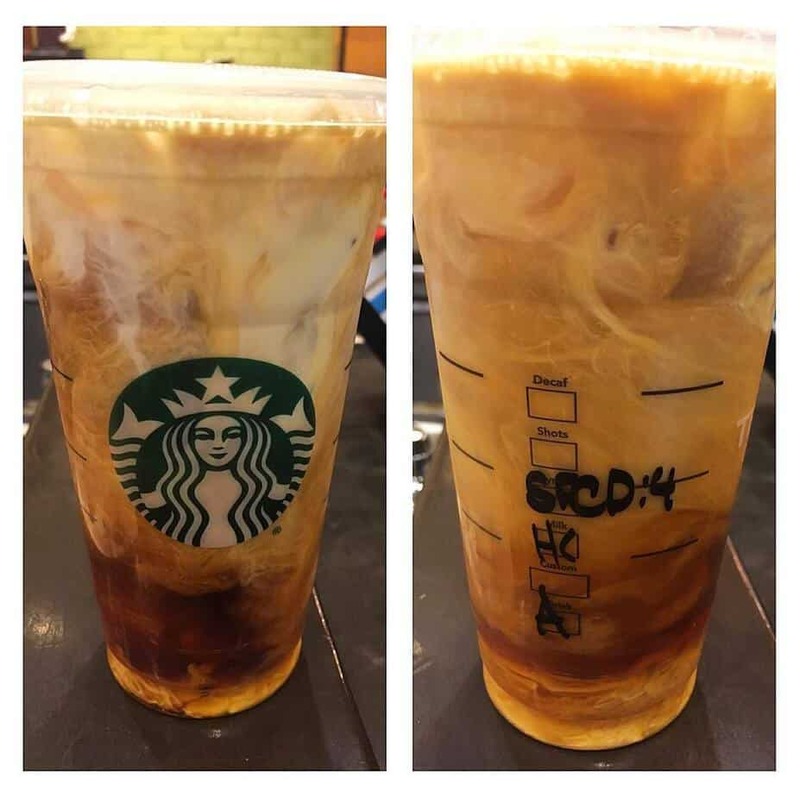 To order ask for an iced Americano with 2 pumps sf vanilla and 2 pumps sf cinnamon dolce with heavy cream. 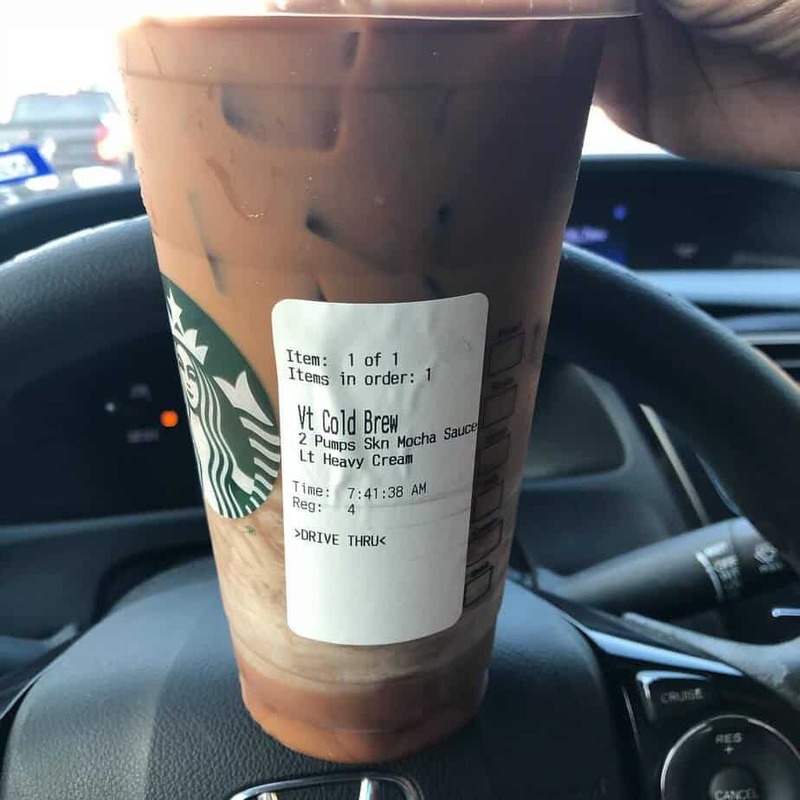 Ask for a venti unsweetened iced coffee with a splash of heavy cream topped with cinnamon. 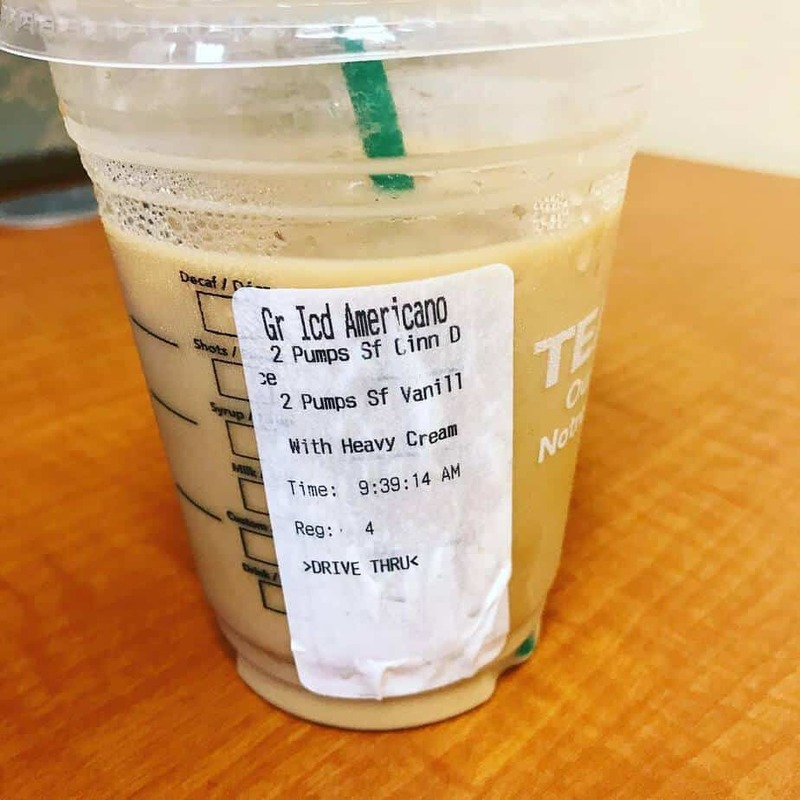 To order ask for, iced venti with 4 pumps sugar free cinnamon dolce with splash of heavy cream americano. To order, ask for a triple blonde espresso with HWC, and 3 packets of stevia. 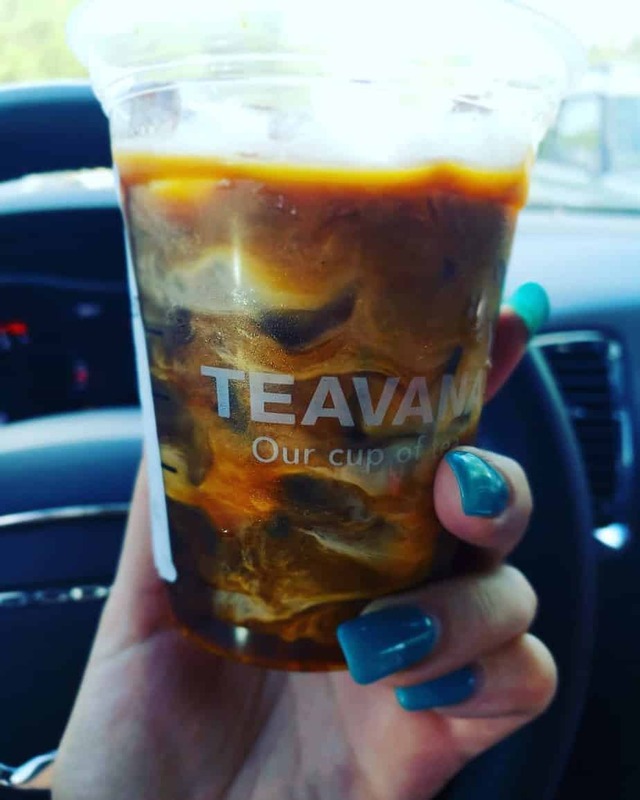 To order, ask for a Venti Peach Citrus White Tea (unsweetened), 2oz heavy cream instead of milk, 4 pumps of sugar free vanilla syrup and blended with no base. To order, ask for a Venti Cold Brew, with 2 pumps skinny mocha, and LT HWC. 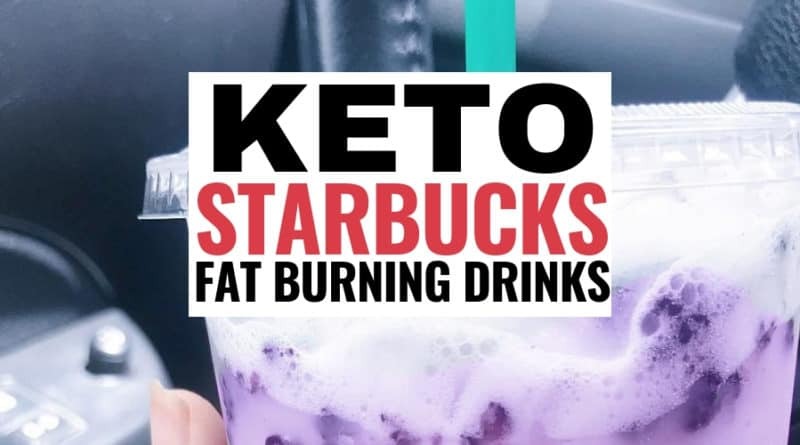 These keto fat burning starbucks drinks are totally awesome. 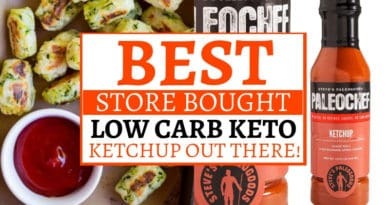 Plus, because they’re low carb, they give you a chance to enjoy yourself guilt free on the keto diet and who doesn’t love that? Which of these will you be trying out? 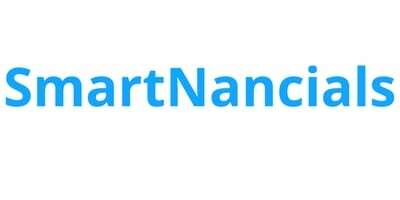 Let us know how you liked it in the comments!